Friends, relatives or just about anyone else can co-sign on your car loan, provided they have sufficient credit to qualify for the loan. There are really no restrictions on the kinds of relationships co-signers must have with primary borrowers. Co-signers should be aware, however, of the consequences if the loan goes into default or payments are made delinquently. A friend can co-sign on your car loan if he or she has good credit and sufficient income to show. 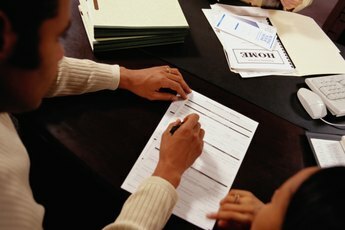 Co-signers sign contracts promising to pay the loan if the primary borrower defaults on the loan. Co-signers use their own credit histories to qualify, which may not only help secure the loan but also potentially get a lower interest rate for the primary borrower. Borrowers with no credit history, a poor credit history, or a high amount of existing debt might need a co-signer. For instance, newlyweds who just bought their first home and who now wish to buy a new car may not have sufficient credit available. The bank may approve their auto loan applications, however, if they have a qualified co-signer. It can be a great way to build credit while also getting the car loan they wouldn't have otherwise been able to get. 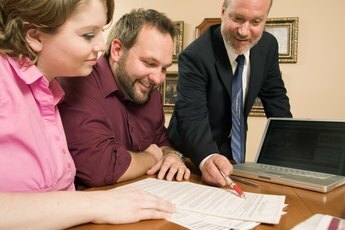 Lenders look for co-signers with financial stability. Your co-signer should have a steady job -- or plenty of assets -- and the financial ability to repay the loan if you default. Lenders examine the credit history of the co-signer, looking for late payments, unpaid or settled accounts, repossessions, bankruptcies or other credit flaws. An auto loan co-signer is held responsible for the loan and late payments if the primary borrower defaults or makes late payments. Lenders can attempt to collect late payments, penalties or the entire balance from a co-signer. In some instances, co-signers can request that the lender include a clause in the loan documents that excludes them from the responsibility of paying court costs, late charges or attorney fees. Otherwise, they may be liable for these fees, too. Co-signers should also be aware that if the primary borrower defaults, it will affect their credit -- co-signers may have trouble acquiring new loans of their own if their credit is damaged by the borrower's failure to pay. Even if the primary borrower pays, by tying up his own credit, a co-signer might have difficulty obtaining a new loan for himself, should he need one. This means not only will nonpayment hurt your credit, you could lose a valuable friend in the process. How Does a Co-signer Affect the APR of a Car Loan? Does Being Married With a Spouse on the Mortgage Affect FHA Loans?